Perfect for when you want more of an oasis vs a scene. A daily trip to the fitness center gets you back on track. Start a puzzle outside and a movie inside and see where everyone lands. The blender makes a great alarm clock if you're ready for the pool but everyone else is still snoozing. Select residences include a balcony. Subtle and serene with a vibe that takes more cues from Scottsdale than the Strip, Desert Paradise Resort by Diamond is about as non-Vegas as you can get in Vegas. All muted earth tones and rustling palms, it’s a crowd-free gem hidden away from the bustle of the glaring neon lights. The glitz and glamour are all right there when you’re up for it, but in between jaunts to Las Vegas Boulevard and Fremont Street, you can lay low, spending hours lounging poolside with the latest best-seller. The onsite spa is a main event here you won’t want to miss. Work your way down the treatment menu, indulging in everything from the Skin Glow Body Polish to a slew of mud wrap treatments – or keep it simple with a deep tissue massage. Even the lobby is designed with relaxation in mind, with help-yourself coffee carafes and a fireplace glowing in the off-season. Late-night pool hours keep your crew happy, with the family pool open until 10:00 PM, and the adult pool welcoming flutter-kickers until midnight. There’s even a splash pad to keep the little ones squealing. (Keep your camera handy for some fun candids.) As the day winds down, send the kids off to the game room while you head back to the suite to get dinner started. Spacious, inviting one- and two-bedroom suites are family-friendly, with a movie-night-ready living/dining area – DVD player, plenty of comfy seats and practically instant access to popcorn and drinks. Make yourself at home in the fully equipped kitchen, or hand your resident grill-master a platter of burgers, steaks or kabobs, pointing in the general direction of the BBQs. Sauce spills? Worry not. There’s an in-room washer/dryer so you can catch them sooner vs later. Request a raise of hands for the hot tub, and meet all interested parties at the door before heading out together, towels in hand. Drip dry on your patio or balcony, or if you spot goosebumps on the kids’ arms, move inside to keep going on that puzzle or LEGO skyscraper. 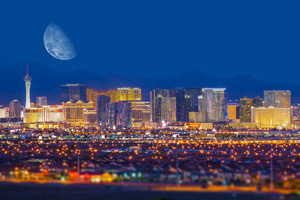 Divide and conquer on the nearby attractions, going “Vegas-big” with show tickets, championship golf, horseback riding, helicopter tours and more. Or keep it low-key with lake sports, hiking, bowling or shopping. You can even simply resort-hop to check out the exquisite malls, high roller coaster rides, the Bellagio fountain shows, art exhibits and too-many-to-choose-from dining options. Featuring family-friendly resorts and budget-friendly restaurants. The casinos provide a more casual setting than those located directly on the strip. Many of the casinos have movie theaters and bowling alleys for family fun. Enjoy shopping, food and entertainment at Chinatown Plaza.